What are the rules? Who are the likely winners? There is broad consensus in Europe about the energy transition: Europe is on its way to a low-carbon economy. But there is a lot of uncertainty about how the transition will impact the European system – the rules of the game – and how the rules should be adapted to make the transition possible. In this special interactive Energy Post webinar, experts and representatives from major European energy companies will discuss with an international audience how they see the future. The debate will be led by Energy Post editor-in-chief Karel Beckman. ► What kind of regulations are needed to stimulate investment and innovation in generation, distribution, interconnection, efficiency and smart technologies? ► How should renewable energy be integrated into the system without endangering security of supply? ► How will the roles of established players evolve: producers, utilities, traders, distributors, system operators, regulators? Who will the new players be? ► How to keep the price of energy affordable and competitive for industry and consumers? The transition is under way – don’t get left behind! Bert den Ouden is Managing Director of Berenschot Energy & Sustainability, where he manages projects regarding electricity price development, energy market integration, demand response and energy storage, including analysis of energy prices and energy scenarios. From 1999 until 2013, he was CEO of Energy Exchange APX-ENDEX, active in the Netherlands, Belgium and United Kingdom. One of his focal activities was the pioneering and realization, together with partners, of the “market coupling” method to achieve an international integration of EU electricity markets. He has held board positions at Europex (European association of energy exchanges), and APEX, the world association of electricity exchanges and is active as General Director of the Flexible Power Alliance network, a foundation for Smart Grid trading infrastructure. Simon Hill is Opower’s Vice President for EMEA and leads the company’s external engagement operations across the region working with energy companies, governments and other stakeholders in order to drive energy efficiency. 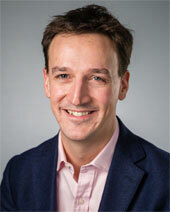 Simon is a graduate of the University of Durham and the Royal Military Academy Sandhurst. He has extensive experience in business development, strategy, regulation and marketing. 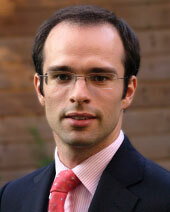 Pieter van Aartsen is manager European and Government Affairs at Gasunie, responsible for regulatory and public affairs strategy in Brussels and The Hague. In addition to his position at Gasunie he is chair of the strategy committee of GIE (Gas Infrastructure Europe) and member of the steering committee of GasNaturally. From 2005 – 2009 he worked as policy advisor on energy and internal market affairs in the European Parliament in Brussels and Strasbourg. He was closely involved in the negotiations between the EU institutions on the Third Energy Package and the Second Strategic Energy Review. 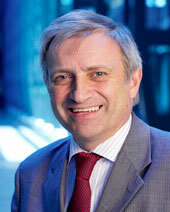 Michel Matheu is Head of EU Strategy in the European Affairs Division of Electricité de France (EDF). Before joining this division he worked for nearly 10 years in the field of regulation of electricity systems, successively in charge of Regulation and Economic Studies in the Corporate Strategy Division and of Economy and Public Affairs in the Corporate Renewables Division. He joined EDF in 2003 after a career in the French Civil Service, where his last job was Head of the Department in charge of Public Utilities and Environment at the Planning Office, an advisory body to the French Prime Minister. 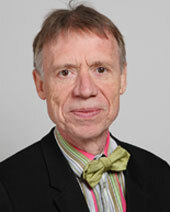 He has also had an experience of research and consulting at the Ecole Polytechnique in Paris and of editing journals published by the French Ministry of Industry. Karel Beckman – Moderator is editor-in-chief and founder of Energy Post. Established in June 2013, Energy Post has quickly become the premier independent energy website in Europe, with groundbreaking reports, analyses and interviews about the key developments taking place in European and international energy markets. 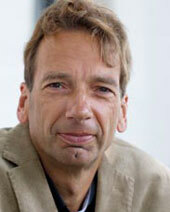 Karel has written about energy for over 20 years as editor and journalist for a variety of publications. In 2010 he won the Award for Excellence in Journalism from the International Association for Energy Economics (IAEE).